As he had done in the past, Clarence Schultz had the Lakota performers pose for photographs that would be made into postcards. 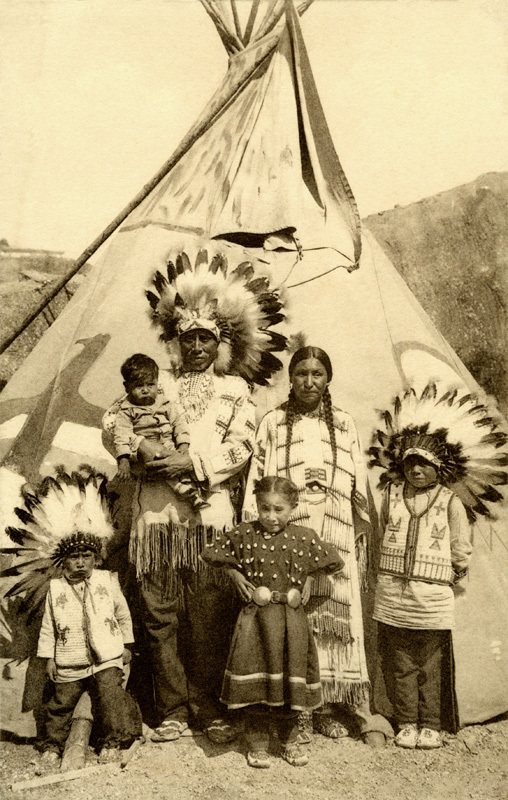 This postcard of the Little Moon family was sold as a souvenir to fair visitors. It shows (left to right) three-year-old Francis, one-year-old Wilson, Joe, six-year-old Pauline, Rose, and seven-year-old Gilbert.